After another highly successful year, international real estate developer HB Reavis returns to the renowned German real estate trade and investment fair EXPO REAL on 4 – 6 October in Munich, to showcase its flagship projects including: Varso Place, Agora Budapest, Nivy Mall (Stanica Nivy) and newly acquired Elizabeth House. HB Reavis, which has been exhibiting for more than ten years at EXPO REAL, invites visitors to stand A2/126 to discuss its Pan-European pipeline of projects; its recent and successful roll out of co-working initiative HubHub; its employee-focused and evidence based workspace experience service Origameo; as well as its advanced plans to enter the German market. Another talking point at EXPO REAL is HB Reavis’s latest edition to the London portfolio, Elizabeth House, which it acquired in May 2017. Varso Place is an exceptional mixed-use scheme, which will become a new landmark and international Business Centre for Warsaw. 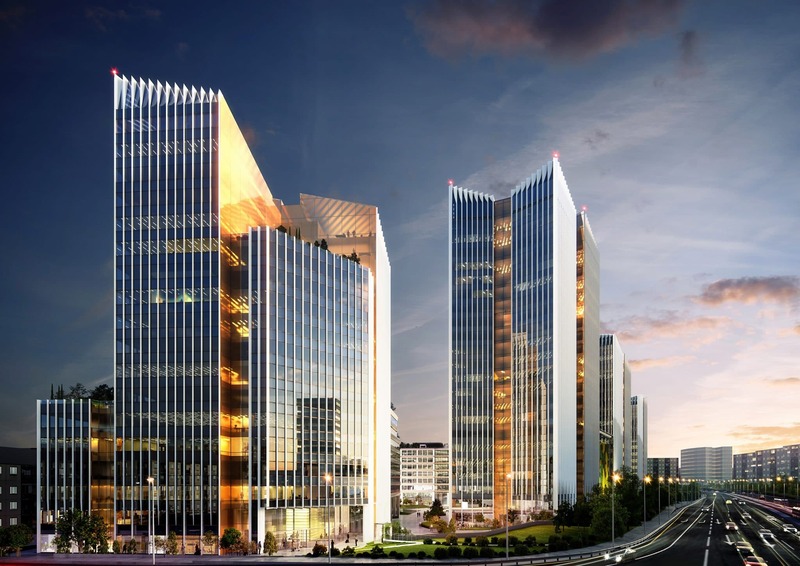 It will comprise a 53-storey office tower, designed by renowned British architects Foster + Partners, and at 230m tall (310m with the spire) will be the tallest building in Poland and one of the tallest in Europe. Developed to the highest standard, offering state of the art technology and innovative sustainable solutions, this multi-use business development will become one of the most prestigious and significant addresses in the entire region. It’s also the first project in Central Europe to obtain a WELL pre-certification. 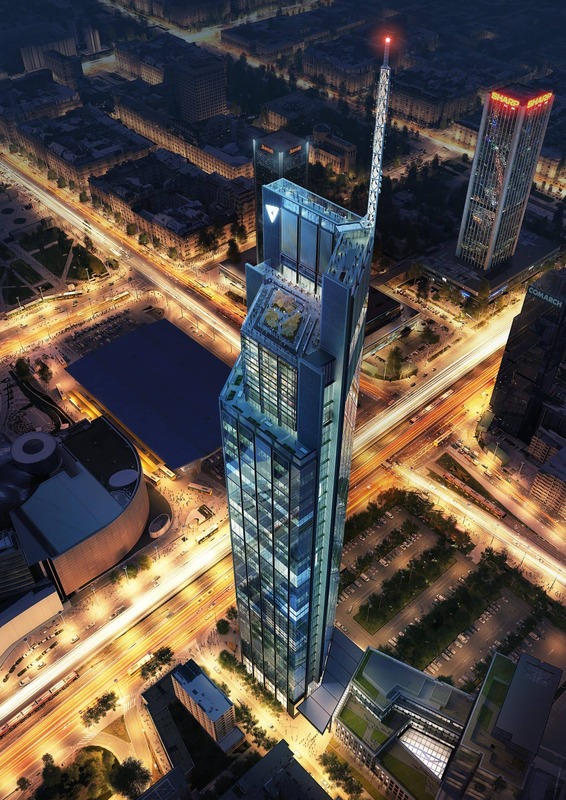 At 144,500 sq m, the project is Warsaw’s largest commercial development and is scheduled for completion in 2020. Another of HB Reavis’s showcase projects at EXPO REAL is Agora Budapest in the heart of the Hungarian capital’s Vaci office corridor, delivering modern and sustainable architecture designed by MAKE Architects and FINTA Studio. 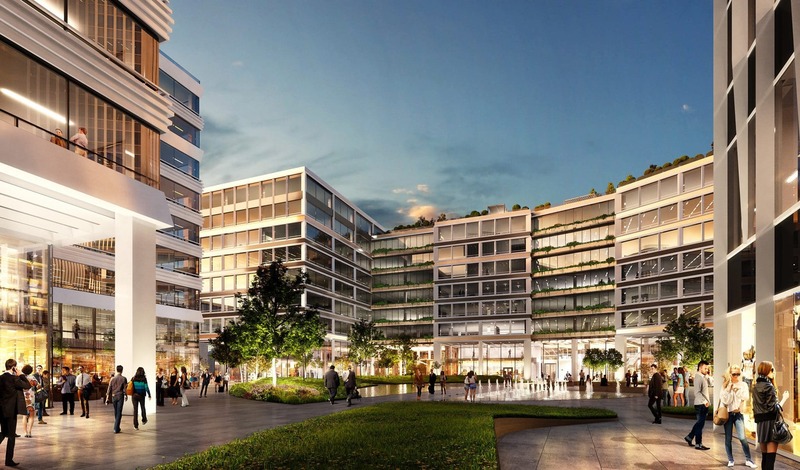 The 136,000 sq m mixed-use project will deliver a top quality, modern office space for the Budapest market, with great emphasis on well-being, innovation, excellent services and green spaces. 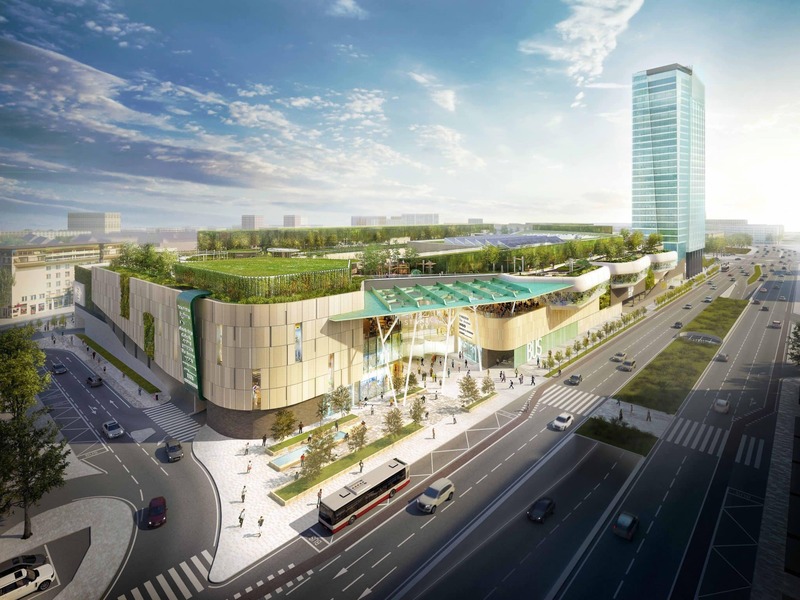 In Slovakia, HB Reavis is busy with the construction of Stanica NIVY – an exceptional mixed-use project in the heart of Bratislava, which will comprise Nivy Mall, a 70,000 sq m supra-regional shopping centre, A-class office space, a bus station of international significance and an urban fresh-food market, totalling approximately 130,000 sq m. The shopping centre will feature an outstanding green rooftop, equal in size to two football pitches, adding new, quality green space to the city. The scheme, designed by award-winning international Benoy Architects, will deliver a thriving new destination for people living and visiting the area. It is estimated that as many as 20,000 travellers are expected to use the new fully integrated bus station daily, making the development the new gateway into Bratislava and a paramount transportation hub. Delivery of the project is due in 2020. Elizabeth House, also known as One Waterloo, is HB Reavis’s latest edition to the London portfolio, which it acquired in May 2017. The site, a 1960s office building that has been earmarked for redevelopment for more than a decade, occupies a prime location on London’s South Bank, immediately adjacent to Waterloo Station, the UK’s busiest transport hub. The site is HB Reavis’s fourth acquisition in their expanding London portfolio, and planning permission has been granted for an 88,000 sq m development including public realm. HB Reavis will also feature the new co-working element of its portfolio, HubHub – a new type of global ecosystem for both start-ups and larger businesses, where the most talented people and their businesses are able to fulfil their untapped potential. HubHub has been specifically designed to create and maximise opportunities between entrepreneurs and the wider ecosystem. Its educational programmes help to develop and grow talent, while networking events foster connections between new partners and investors. It offers access to the level of support, talent and skill sets that enable both businesses, and individuals to take their ambitions to the next level. Having opened three spaces within Warsaw and Bratislava in just 24 months, HubHub’s regional presence presents the opportunity for true flexibility and synergy among corporate tenants and start-ups, in an environment that fosters innovation. The plan is now to continue to grow in the CEE with additional space planned for Bratislava, Prague and Budapest in 2018. HB Reavis’s long-term ambition is to offer HubHub co-working spaces within all of their developments. The developer’s new initiative Origameo, will be another key focus at Expo Real. At Origameo a dedicated team consisting of architects, social scientists, designers, innovators, HR experts and business consultants work together to create smart and productive workplaces. This team of experts design employee-focused and evidence based workspace experiences tailored to individual business needs.